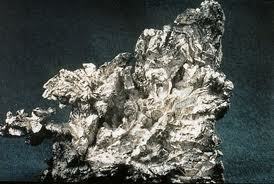 Silver is a metallic chemical element with the chemical symbol Ag. 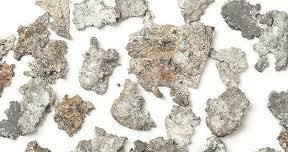 A soft, white, lustrous transition metal, it has the highest electrical conductivity of any element and the highest thermal conductivity of any metal. 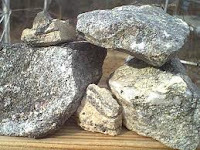 The metal occurs naturally in its pure, free form as an alloy with gold and other metals, and in minerals such as argentite and chlorargyrite. Most silver is produced as a byproduct of copper, gold, lead, and zinc refining. 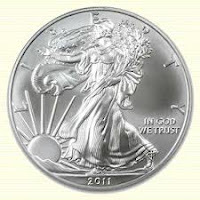 Many well-known uses of silver involve its precious metal properties, including currency, decorative items, and mirrors. The contrast between its bright white color and other media makes it very useful to the visual arts. It has also long been used to confer high monetary value as objects such as silver coins and investment bars or make objects symbolic of high social or political rank. Today, silver metal is also used in electrical contacts and conductors and in catalysts of chemical reactions. Its compounds are used in photographic film, and diluted silver nitrate solutions. Other silver compounds are used as disinfectants. 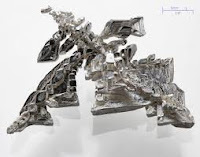 Among metals, pure silver has a very high optical reflectivity. Silver is stable in pure air and water, but tarnishes when it is exposed to air or water containing ozone or hydrogen sulfide. Recorded use of silver to prevent infection dates to ancient Greece and Rome. It was re-discovered in the Middle Ages, when it was used for several purposes such as to disinfect water and food during storage and also for the treatment of burns and wounds as wound dressing. In the 19th century, sailors on long ocean voyages would put silver coins in barrels of water and wine to keep the liquid potable. Pioneers in America used the same idea as they made their journey from coast to coast. Silver solutions were approved in the 1920s by the US Food and Drug Administration for use as antibacterial agents. can be many items used in our hobby, baked goods, homemade items. ALL VERY NICE ITEMS YOU WILL WANT TO BID ON! HANDY, BECAUSE SOMEONE WILL PUT A BID ON TOP OF YOURS!